Entry by star of the sky on Mon Mar 14 14:40:41 2011. 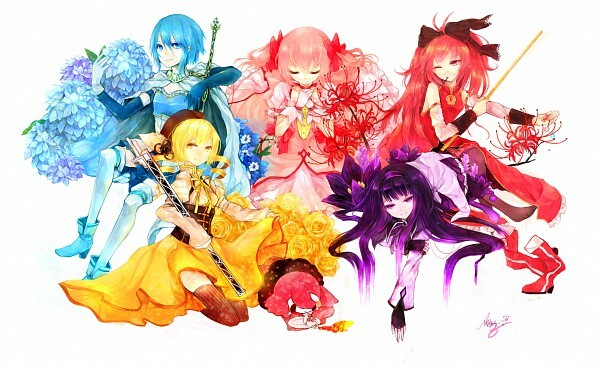 Very interesting that Kyouko was drawn with spider lilies, although this art is from 2011. Such graceful colouring, and appropriate assignments for all, really. <3 A disappointment there's no separate picture for Madoka, though!